For over 70 years, Samsung has been dedicated to making a better world through innovation, reliable appliances, talented people, a responsible approach to business and global citizenship, and collaboration with their partners and customers. We have been a family owned and operated company for about six decades now. The Area Appliance Service team of repairmen, fights hard to provide you with excellent appliance repairs and customer service when your family needs help. We will even consult with you, before any repairs are started, to let you know the most cost effective options. Not all Samsung appliances can be repaired, just like not all older equipment needs to be replaced by a newer one. 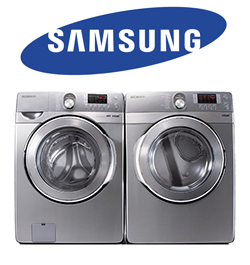 We stand behind all of our Samsung washer and dryer repairs with a 100% Satisfaction Guaranty for one year. Speak to a live operator at (847) 459-8070 or fill out our form to schedule a service appointment. Our appliance repair company spreads across the Buffalo Grove and Arlington Heights, IL including the nearby suburbs. The AAS company specializes in ALL types of washers and dryers for residential use. Technicians are well trained, licensed, bonded and insured with plenty of experience under their belt. 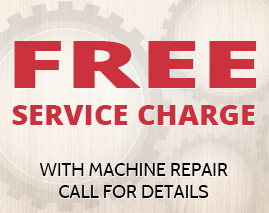 Our Samsung techs have the skills to service or completely repair your defective machine to like-new condition. If the fix is more expensive than just buying a new unit, we’ll let you know after we inspect and troubleshoot the issue day one. We DO NOT service or repair Samsung manufacturer’s warranty work. If you would like to get manufacturer’s warranty service, please refer to your Samsung appliance owner’s manual for their warranty hotline. Also, we don’t repair commercial washer or dryers. Schedule Service for Your Samsung Appliance Today!